#NotTooYoungToRun: At 35 years, you can now run for president – Royal Times of Nigeria. 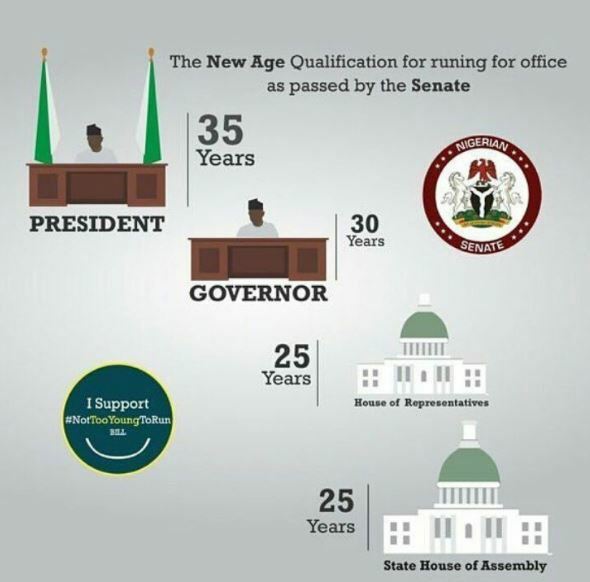 Above is the new age qualification to run for a political office as approved by the Nigerian Senate during the constitution review exercise yesterday. Before now, a person must be at least 40 years of age to be elected President or Vice President, 35 to be a Senator or State Governor, and 30 to be a Representative in parliament.